Bell/Simons needed a more efficient order picking layout in their new warehouse. 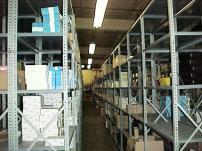 The Parts Shelving System designed by Preferred Equipment consists of 356 steel shelving units in one area and 169 units in a second area. 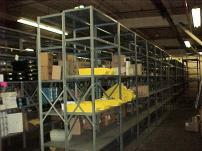 The two areas allow Bell/Simons to stock specific types of equipment in the same areas of the warehouse. This has shortened the time that order pickers need to learn the product locations. The larger layout also permits complete lines for each vendor to be grouped together in the warehouse, leading to faster order picking with less errors and easier inventory of remaining stock.